Our aesthetic division is exclusively offering patients a bundle of specials on in-office treatments that will help you get ready for summer! All for $1,500 - a saving of $600! 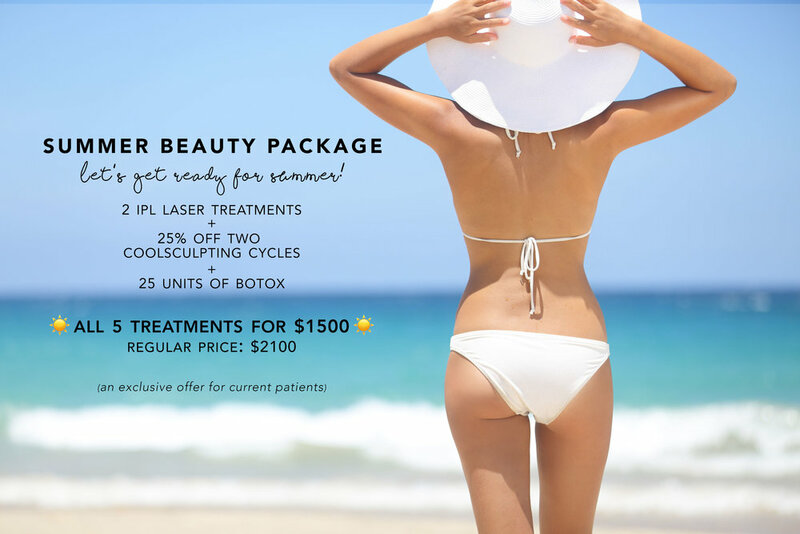 Email us at chelsie@aestheticbodysolutions.co to reserve your Summer Beauty Package!